Just got a chance to try the Phoenix Accoutrements new DBL OC razor that was recently released for sale. 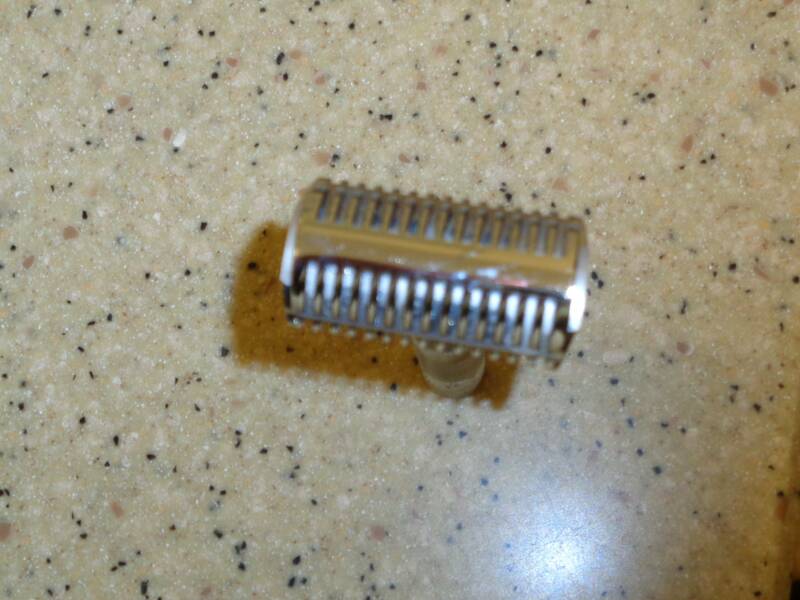 This is a rebuild of the old Grand razor that uses a top and bottom plate open comb. The razor is advertised as a mild self lubricating shaver but don't let that fool you. The shave is very close and extremely smooth as the razor glides through it's job with ease. I did three passes resulting an irritation free BBS. The razor is very lightweight at 56 grams due to it's hollow brass chrome handle, but I immediately switched to the new iKon bamboo handle that boosted weight to 94 grams. Perfect. I recommend this razor for all beard types. Incidentally Phoenix Accoutrements is the old How To Grow A Mustache co.
Looks quite fascinating. I'm a sucker for anything off the beaten path. Any idea whether it's brass or stainless? At $35, I'm thinking it's almost surely Zamak, but I thought if you have one on-hand, you might be able to offer some more pointed insight. Any technical details / closeup photos you could offer would be greatly appreciated. (12-26-2014, 10:17 AM)chamm Wrote: Looks quite fascinating. I'm a sucker for anything off the beaten path. Any idea whether it's brass or stainless? At $35, I'm thinking it's almost surely Zamak, but I thought if you have one on-hand, you might be able to offer some more pointed insight. The head is Zamak chromed and the original handle (3") is brass chrome and hollow. I am using an iKon bamboo 316 solid stainless handle which balances the razor beautifully and adds a lot of weight. The head according to PA was slightly modified from the original Grand razor. 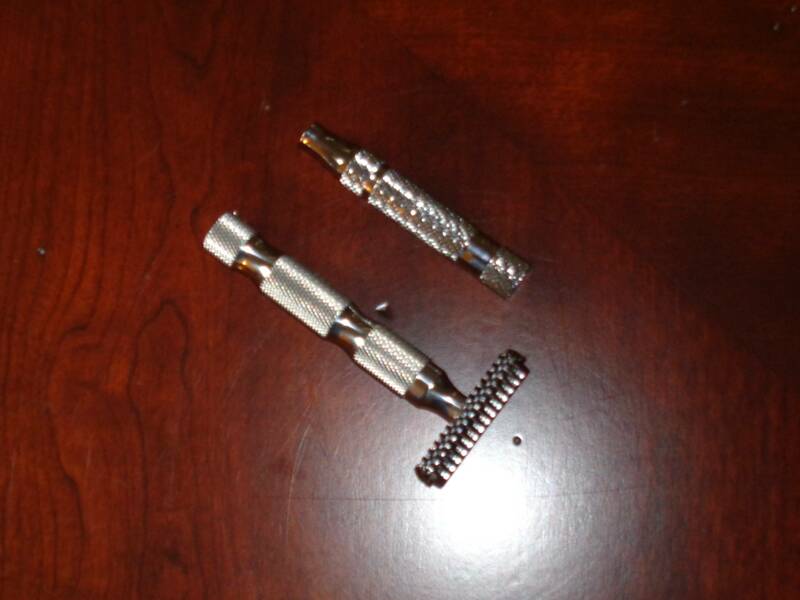 Just go to the web site they have several pictures...at this time the razor is out of stock. (12-26-2014, 10:23 AM)Cricket203 Wrote: Very different looking !! (12-26-2014, 10:43 AM)Harvey Wrote: Just go to the web site they have several pictures...at this time the razor is out of stock. Will be back in stock on Monday I was told. I am boycotting PAA and its products. The owners previous actions were an insult to wet shavers and even the apology was an insult. We see a new razor and shaving experience and forget principle. (12-26-2014, 11:33 AM)Hanzo Wrote: I am boycotting PAA and its products. The owners previous actions were an insult to wet shavers and even the apology was an insult. We see a new razor and shaving experience and forget principle. Agreed. What he did was unethical. Providing false identity, promoting his products through fake reviews, rearranging ingredient lists to make it appear that his product is superior. Why wetshavers still cater to this guy is beyond me. The HTGAM/PPF soaps always burned my face so I wont be getting the soaps or stuff, and that thng looks like something out of a horror movie. Perhaps a great razor but not for me.